A student’s reading, writing, and researching skills impact much of his coursework, not only his grades in English class. By improving his performance in any one of these areas, he may significantly increase his GPA—and his standardized test scores as well. What’s the best way to develop one’s English skills? Hard work and perseverance, of course, coupled with the assistance of English Private teacher in Fairfield County CT. We have variety of reading and writing teachers in CT area such as Trumbull, Stratford, Westport, Milford, Stamford, Greenwich, Darien, Weson, and other near by cities, including nearby counties Westchester county NY and it's cities of White Plains, New Rochelle, Port Chester, Scarsdale, Yonkers and other cities. 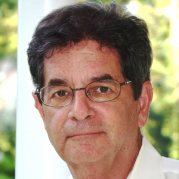 Our Tutoring agency connects students with reasonably priced, knowledgeab academic instructors in Fairfield, CT, who will help students in the areas they request. Students simply call or contact us online, and we match them with the right subject matter experts. For instance, if a student were having difficulty with syntax, professional english expert could help student with sentence-level revision. Likewise, if a student finds MLA or APA documentation difficult to sort out, english tutor could demonstrate, step by step, how to cite sources of information accurately. Our agency can also provide non-native speakers with English ESL english tutoring. Through our private, individual instructional time, academic subject matter expert can clarify many idiomatic expressions and confusing rules of the English language. Our instructors can help students prepare for the TOEFL as well. We provide help in different grade levels, including elementary, high school and middle school subjects and also have variety of study guides, test prep materials and affordable english books. With the right academic english textbook you can review and learn better english. You can also work on your english homework, with our local private home english tutor in Fairfield CT and nearby cities of Trumbull, Milford, Westport, Stratford. Your English subject matter expert can help you correct wrong answer for your your mid term or final test for which you are preparing for. But what good will the english book do for you if it's not affordable enough for your to buy one? We believe education should be affordable, which is why we created UsedCollegeBooks.NET website to help us save environment and help college students buy and sell their english textbook directly to or from each other at the fraction of the university or college bookstore prices, avoiding expensive shipping fees and middle man all together and helping environment stay green by reusing old English textbooks. Have you considered getting tutored in group rather then 1 on 1? English group prices for tutors in Fairfield County are much more affordable then one on one help. We have english level educators who can offer group teaching and one on one teaching services in Reading and Writing, Study Skills, Math, Chemistry, Physics, Biology and other subjects. However, private english tutoring is better than the self study, and it’s more effective than a study group too. Our English and reading and writing experts know the subject well and have experience teaching others. Best of all, your English tutoring sessions will focus on your individual learning needs, and you’ll be able to learn English, math and chemistry subjects at your own pace. Whether you’re struggling in your school class or trying to review for challenging school preparation exams such as PSAT, the SAT, the GRE, or the Praxis I English test that may require english skills, you’ll better meet the challenge by contacting us and help you hand pick your home or online or group sessions english tutor. Prepare with English Online Tutors Courses and Classes or Self Guided Study Prep materials! We have english test prep software to help students tackle their TOEFL and ESL fears. We have Online course Access for students looking to study online and can't afford home tutoring. View our English academic study guides directly on our site. Our Test Prep materials can be used great in conjuction with our english tutors or online classes to prove effective in english studies. We don't just have the software or online classes, we have variety of study test prep material for high school or middle school students in the form of various types of study guides, you can view our collection of english study guides below. If you are a student attending college or university in CT or NY and going to Sacret Heart University or Bridgeport University, and is in the process of completing your teaching certification and have finished your masters degree and doing your student teaching or if you are thinking about becoming English teacher, then we have affordable English study guides in various tests for Elementary, High School and Middle School teachers. We have learning guides in the form of flash cards, exam secrets for various english examinations including but not limited to Praxis 1 and 2, MTEL, CSET, FTCE, MTTC and other major tests which states require. Our study help material can help students get better grades. Simply browse through our collection of english test prep study guides and buy your teaching certification questions with answers to help you pass your test and become certified teacher. Alternativel if our english study guides do not help you, then consider contacting us to match make you with another one of the subject matter experts online or in person to help you prepare for your test. Discover repetitive study methods for improving you TExES Grade 7-12  exam score, using flash cards. If you are in the process of studying for English Language Arts and Reating test, and living in Texas, then do not hesitate to check out flash cards study system, designed to reinforce your study memory by leveraging repetitive exercises. Additionally, reinforce your TExEs middle and elementary level exam test taking skills even further with additional practice questions from exam secrets, sold as a seperate study guide resource. Note: Flash cards are no substitue to undergraduate college level preparation, but can definitely help you grasp complicated topics of history, drama, poetry, writing, research papers, etc. Prepare & Review for TeXES School 231 Teacher certification using Flash Card Method ! Review for your  High School TExES 231 English Language Arts and Reading exam with confidence. If you are in the process of preparing for teacher certification exam, and residing in Texas, then do not hesitate to check out exam secrets resource (click buy now for even more info). Don't make mistake of studying from a single only resource. Additionally, be sure to reinforce your test taking memory skills also with flash cards, when preparing for your exam. Increase your chances of success on your TExES English Language Arts and Reading grades 7-12  test. Discover repetitive study methods for improving you TExES Grade 4-8  exam score, using flash cards. If you are in the process of studying for English Language Arts and Reating test, and living in Texas, then do not hesitate to check out flash cards study system, designed to reinforce your study memory by leveraging repetitive exercises. Additionally, reinforce your TExEs middle and elementary level exam test taking skills even further with additional practice questions from exam secrets, sold as a seperate study guide resource. Prepare & Review for TeXES Elementary & Middle School 117 Teacher certification using Flash Card Method ! More than 1,300 high schools, technical schools, community colleges, and four-year colleges across the country use the ACCUPLACER  to determine the skill levels of incoming students. Knowing when to score well and how to score well on your exam is the key when preparing for your English Exam. With the variety of study materials on the market it's hard to make decision which study guide to purchase. 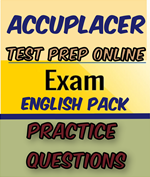 Test Prep Online vendor makes studying for your ACCUPLACER exam easier. For details of particular exam formatting consider review ACCUPLACER exam detailed page. What is covered in this English study resource? Which Section of ACCUPLACER exam are you preparing for? What is FTCE Florida English 6-12 Examination? The English language is one of the most used languages in the world and while English is commonly used in Florida, the subject still needs to be taught with utter care and accuracy. The language is more complex as it seems and thus educators yearning to teach English in the state must be knowledgeable in these fields. The Florida Department of Education (FLDOE) conducts the Florida Teacher Certification Examination in English to prove educators’ efficiency. Candidates who pass the exam are given certification from the FLDOE board to become a certified educator. THE FLDOE offers two certifications: temporary certification, which is valid for three academic years; and professional certification which is valid for five academic years. Only a professional certification may be renewed. Other than that, educators with a temporary certification must apply for professional certification after it expires. To appear for the FTCE English Exam, candidate needs to fulfil all the eligibility conditions listed by the board. Candidates applying for a temporary certification need to have a bachelor degree and a 2.5 GPA in the subject. Candidates applying for a professional certification need to have a specialization in English in addition to a bachelor degree. For both certifications, candidates must submit fingerprint reports to the board. Grant of certification is only available after the fingerprint reports are duly processed. •  English language poetry, prose etc. 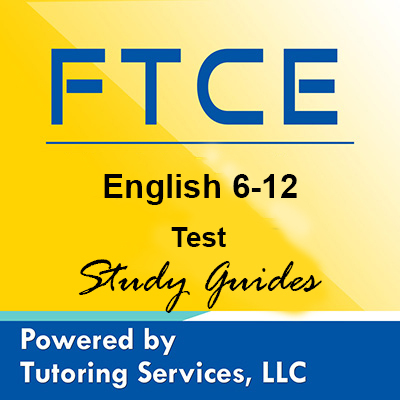 Candidates should practice for the FTCE English Exam before taking the actual test. It is recommended to consult a well-prepared and specific study guide to be able to pass the test on the first try. 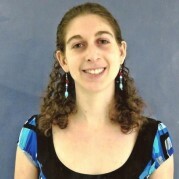 In addition to preparatory tools, TutoringServices.com is a website who can help educators prepare for this exam and self guided study is not the only option. TutoringServices offers multiple services to all test takers by helping them make their study easier and more enjoyable in which this site offers FTCE test takers to find online or local tutors for help in preparing for the exam. This online tutor site can also be beneficial to all educators make money by allowing them to register free of charge and advertise themselves as independent contractors, helping other educators in test preparation as well as helping students in k-12, colleges and universities with homework help and academic subjects tutoring and test prep. Give yourself a tour on this wonderful website! On the bottom part of this page you will see lists of test study guides, to help you review and prepare for your examination. Change the default menu for Show into desired number of items you wanted to view. Also along side with each study guides there is a button called “Buy Now”, click it for each reviewer you wanted to obtain. Perform the National Evaluation Series in confidence with the help of the best prep guide, the NES English Language Arts (301) Exam Secret. This will also a helpful tool for your preparation, it gives you practice questions and step-by-step tutoring services that may also set you up in more advantageous performances. Talking about studying, this prep tool is the most excellent way of learning that kick your worries and time will not be wasted for this training. Test passers understands the importance of this learning guide, this could be your best friend in times of your preparation and help you get high scores for the actual test that lead you to teach in any states like Arizona, New Mexico, and Oregon. Hold at least one copy of this NES English Language Arts (301) Exam Secret now. Middle-grade English is a subject which requires knowledge of core grammar and compositional rules. Educators willing to teach the subject must have a strong foundation in English to be able to establish a foundation of linguistic skills in their students at an early age. 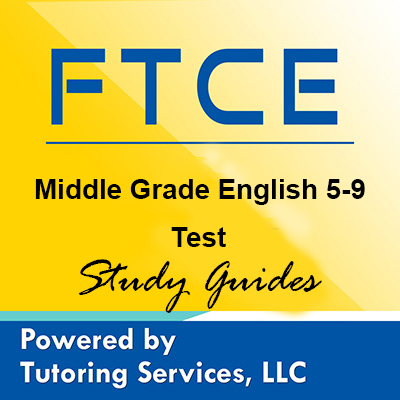 The Florida Department of Education (FLDOE) conducts the FTCE Middle Grade English Exam to check the competencies of such educators. The FLDOE grants certifications to educators who pass the exam so they may practice as an educator in the state. Candidates may apply for either a professional or temporary certification. Professional certifications are long-term and are valid for a period of five academic years and may be renewed. Temporary certifications, on the other hand, are valid for only three academic years and are non-renewable. To take the FTCE Middle Grade English Exam, candidates should meet certain guidelines issued by the education board. Both certifications require candidates to possess a bachelor’s degree in English. In addition, professional certification applicants need to have a master’s degree the subject. For temporary certifications, applicants need to have a 2.5 GPA in the subject. Candidates also need to submit a fingerprint report to the education board. Candidates will not be able to obtain the certification until he/she has complied with these guidelines. This exam is divided into two tests. First sub test is essay writing while the second sub test is composed of multiple choice questions. For the essay, examinee is given 60 minutes to create an essay that answers the questions accordingly. For the objective section, candidate is given 90 minutes to answer 85 multiple choice questions. It would be wise to consider investing in a study guide that particularly targets this exam to obtain high marks. With a determined and well-prepared mind, it is possible pass the exam in the first time.